MADISON, WI. 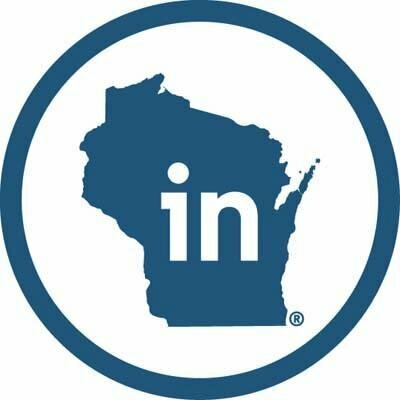 Nov. 8, 2018 – The next time a top state official presents a gift to a foreign dignitary or a global business leader, it very well could be an item designed by students in one of Wisconsin’s fab labs. The Wisconsin Economic Development Corporation (WEDC) is launching a competition in which students in the state’s 43 fabrication laboratories (fab labs) can use their skills and fab lab tools to design and create protocol gifts that will be given by top state dignitaries in their official capacity. Each participating fab lab will design drink coasters that will prominently include “Wisconsin” in the design and will include elements that represent the state’s positive economic, cultural, historic or other attributes. The coasters must be made from materials representing the state. The coasters must be appropriate for display and use in a professional setting. Students are invited to incorporate text into their designs that they feel conveys Wisconsin’s core identity and value as a business, career and lifestyle destination. Fourteen Fab Labs Grants recipients have indicated that they plan to enter the competition (see list below). Each grant recipient can submit one entry by the Dec. 31 deadline. In January, 10 semifinalists will be selected, and students will personally pitch their ideas to a panel of judges. From that group, up to two winning designs will be chosen in February to be mass produced and used by the state leaders. WEDC’s Fab Labs Grant Program supports hands-on science, technology, engineering, arts and math (STEAM) education by assisting public school districts with equipment purchases for instructional and educational purposes in fab labs. Fab labs are high-tech workshops with the latest equipment, including computer-controlled manufacturing components such as 3D printers, laser engravers and computer numerical control routers. Since the program’s inception, WEDC has awarded nearly $1.6 million in grants statewide.